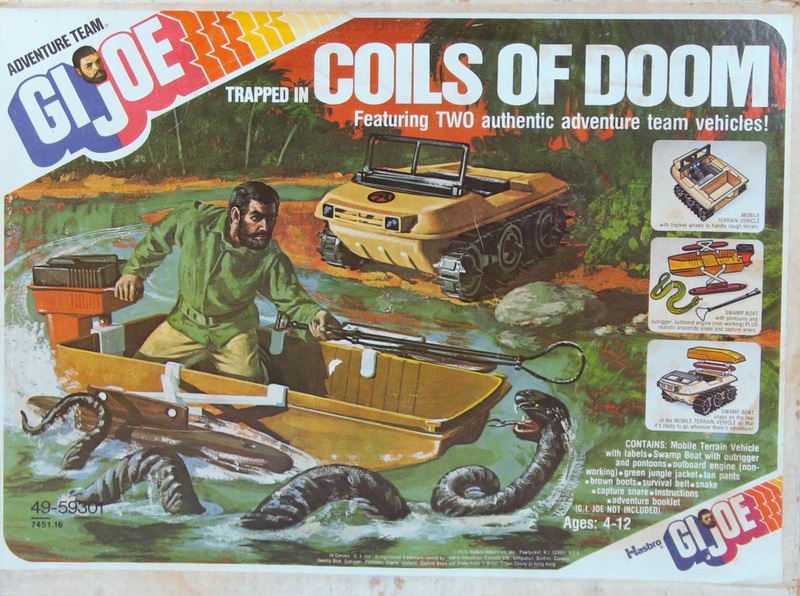 A favorite set of Adventure Team collectors, Trapped in Coils of Doom (5930) is one of the best. A Sears exclusive for 1975 it included a tan ATV, the last appearance of that venerable vehicle in the line. This version is more like the Troubleshooter in that it has tracks and a windshield along with the grille front. 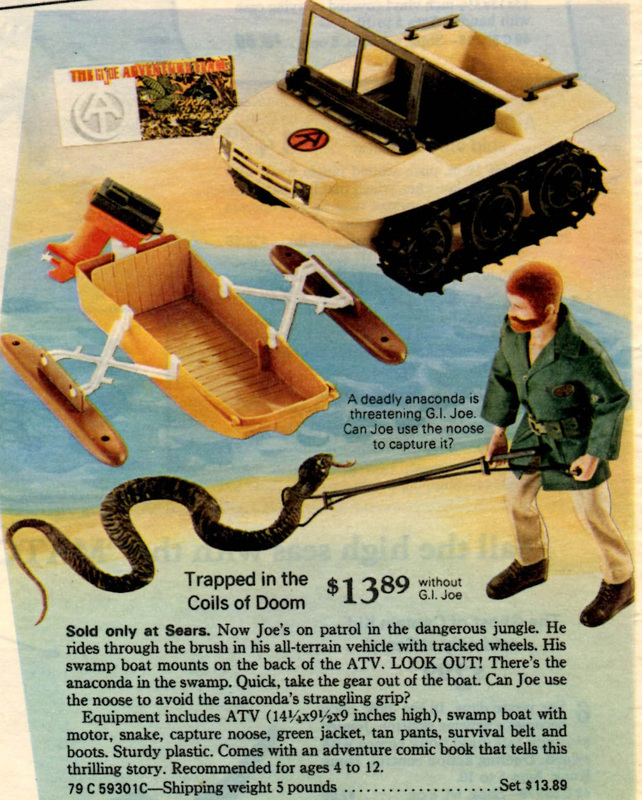 In addition kids got a pontoon boat with non-working motor, capture snare, outfit, and a deadly giant anaconda, a sibling to the one always hanging around the Adventure Team Training Center. The ATV can be set up to carry the boat as shown above, or seek action on its own. Joe gets ready to capture the snake. He should have brought a bigger boat. The outfit for the set is cut similarly to that from the earlier White Tiger Hunt but is of a thinner polyester than that set. the same outfit was used for the late issue Buried Bounty. The belt is just plastic. The boots for these late issue items are generally called 'low-detail' boots for the weaker edges on the molding. This may be a result of using worn out molds at the end of the line or a different supplier. The low detail boots showed up a little earlier on sets from Hasbro Canada. The 1975 Sears catalog ad. Note the substitution of the Pygmy Gorilla comic book.